We assist our customers all along their way - from their planning of the eCRF to the validation of the system. We also ensure that all project steps are undertaken in a well-structured sequence. On request, we can offer a full service with reliable and internationally active partners, such as CROs, data managers, statisticians, biometrists, etc. Our quality results from our certified management system. We are constantly developing ourselves and our user-friendly tools further. EU Guidelines on GxP, Annex 11 "Computer-Assisted Systems"
"Das MedSurv Portal ist benutzerfreundlich, mit sicherer Zugriffsbegrenzung, und kann sehr flexibel auf individuelle Bedürfnisse angepasst werden um auch ein komplexes Studiendesign zu unterstützen. Unsere mehrjährige und anhaltende Zusammenarbeit (in Phase III Studien) zeichnet sich durch offene Kommunikation und kompetentes Projektmanagement aus." "The NIS is unproblematic, well-thought-out and very well processed eletronically. Coordination with MedSurv runs smoothly." "In our study, MedSurv GmbH was always an approachable, reliable partner, who responded flexibly to our wishes." "When it comes to project management, the MedSurv team gets full points." 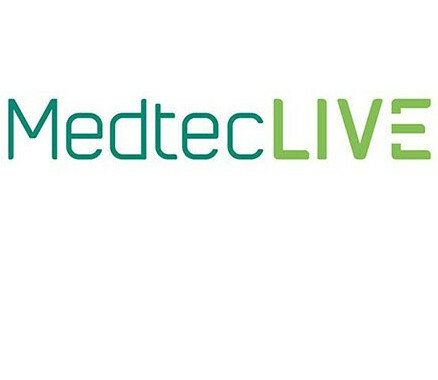 "We have had very good experience with MedSurv GmbH. The drawing up of a validated databas for our Phase II/III study proceeded rapidly; corrections were made quickly and as desired (even during the ongoing study). Overall, collaboration with MedSurv is very uncomplicated and consistently enjoyable. User support in the centres was also uncomplicated and fast. We can only recommend the MedSurv team." "Since 2000, I have conducted several scientific studies on the epidemiology of infections together with MedSurv GmbH via the MedSurv portal. Collaboration with Mattes Hamann's team has always worked brilliantly. I particularly appreciate the stability of the web applications, the high security standard in the log-in area for the authorised members (e.g. doctors), as well as the uncomplicated and very timeley implementation of any changes and updates." "Die Planung und Erstellung des eCRFs für unsere Studie nach MPG §23b war sehr professionell und kooperativ." "Die benutzerfreundliche Oberfläche des MedSurv-Portals ist in unserer multizentrischen Studie sehr hilfreich. Änderungen und Aktualisierungen sind während des laufenden Projektes jederzeit möglich und werden zeitnah umgesetzt. Auch der User-Support funktioniert über die Grenzen Deutschlands hinaus problemlos." "Das Team von MedSurv zeichnete sich durch eine schnelle und zuverlässige Betreuung unseres Projekts (NIS) aus, sowohl bei der Planung und Gestaltung des eCRFs, als auch während der Studiendurchführung. Die Performance der Webapplikation ist hervorragend, der eCRF übersichtlich gestaltet und die Anwendung einfach in der Handhabung und von den Prüfärzten / Study Nurses leicht zu bedienen." BIONNALE is the largest networking event for life sciences and healthcare industries in Berlin. It covers current topics as the new regulatory requirements in medical technology, IT security in the field of digital health and many more. More information can be found here: https://bionnale-2019.b2match.io We look forward to meeting you at BIONNALE on 7 May 2019! MedSurv GmbH is still looking for additional staff. Please apply for one of the following vacancies or send in your speculative application. Please send your application documents to Tina Biehl (job@medsurv.de). We look forward to receiving them.